Posted by Michael La Prairie on Wednesday, August 22nd, 2018 at 12:51pm. 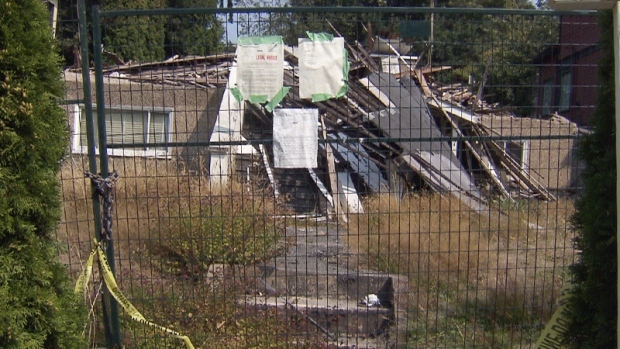 It's not uncommon for homes in ill-repair to be listed for millions in Vancouver, but a listing in the neighbourhood of Kitsilano features an actual pile of trash. Billed as a "rare development opportunity," the lot at 2573 West 3rd Ave. is for sale for $3.99 million. 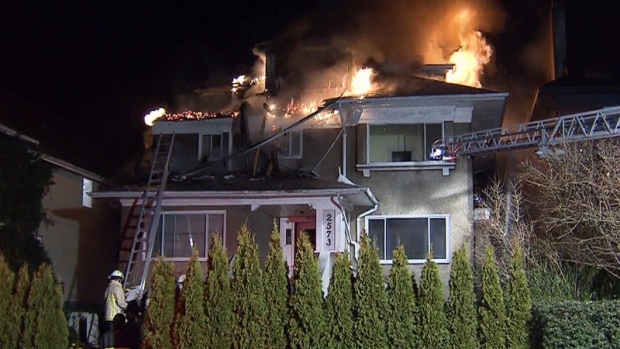 The property was once the site of a 90-year-old house, but a fire in December reduced the structure to rubble. Eight months later, the property is up for sale – charred remains of the home included. Its future owner will be responsible for removing the rubble, but realtors expect it to sell for millions because of the potential for development. The land is zoned for up to four townhouses. "It is a multi-family lot... That is why it's so expensive," realtor Hunt Tse told CTV News Tuesday. Neighbours tired of looking at the eyesore for eight months say they're happy to see it for sale, though some questioned the asking price. "It's completely insane," said Esther Alexander. Alexander remembers when the home went up in smoke, just before Christmas. Fortunately firefighters were able to keep the flames from spreading to nearby homes. "It was extremely scary because it was very, very close," she said. The house had been divided into five units before it burned down. Tse, the realtor behind the listing, says he believes prospective buyers could make their money back by building then selling off the townhomes individually. Last week, the city posted a legal notice giving the current owner 10 days to clear away the debris left on the lot – which neighbours say has attracted rats and other animals. If the land isn't cleared, the city will initiate the clean-up then send the owner a bill. Municipal officials estimate that bill could reach as much as $50,000. It would transfer to the new owner if it goes unpaid. Neighbours said they don't care who pays for the job, as long as it happens soon. "The city should just go and clean it up and get the people that are selling it to pay for this rubble. It's been there since Dec. 22," Sophie Dikeakos said. But Tse said the owner is bankrupt, which is why the mess remains on the lot. "Right now it's under forclosure, that's why nobody (has done) anything on it," he said. Tse said a few people have expressed interest in the unusual listing, but that no offers have been made. He estimates it would cost about $2 million to build townhomes on the site, bringing the total cost, excluding removal of the rubble, to nearly $6 million.